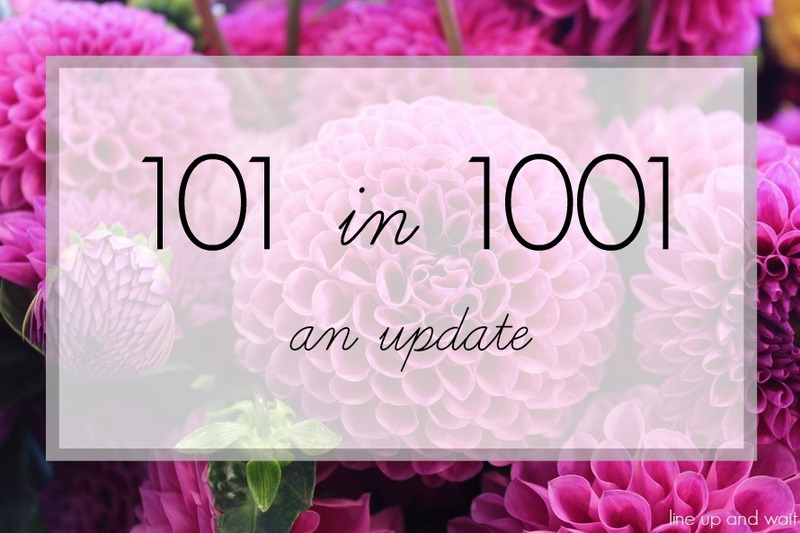 I am quickly closing in on the end date for my 101 in 1001 challenge! I knew some of the goals were really going to be a stretch for me, and sadly, many of them won't be completed by my July 2017 deadline. I did manage to cross off a few more, though! There are a few more that will be checked off shortly, including running a 5k in April, baking my mom's apple pie for birthday celebrations in June, and planting a small garden this spring. Many of the items I just ran out of time for (update our backyard and patio), while others aren't done because I'm shocked at the cost and can't seem to justify spending the money right now (have our wedding invitation framed). Some seem downright silly now (I'm looking at you, three-day juice cleanse). And finally, none of my running-related goals will be checked off because I've discovered I much prefer indoor cycling and barre classes to running! While I'm sad that I won't get more of these goals ticked off the list, I know that having the list did help break me out of my everyday routine. If it wasn't for my goal of trying a new group workout class, I never would've fallen in love with barre! I think my next list will contain more reading goals (I love to read, but rarely challenge myself as far as genres), as well as more goals for things Jason and I can do together. I'll be glad to finish off this round with a few more successes, but I'm really looking forward to using my experience in this 1001 days to create a smarter list for the future.